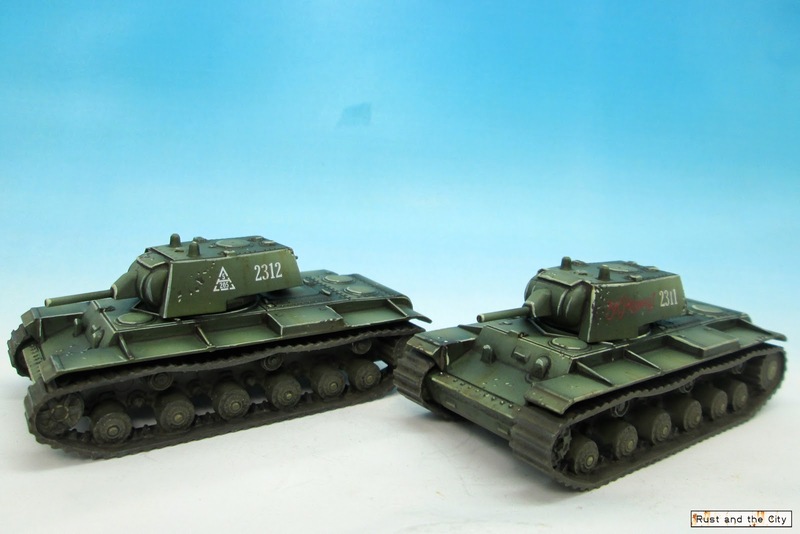 As mentioned in the introduction, these models are the Zvezda KV-1 snap fit models. They assemble very easily as they are only 6 pieces each. The models are not as detailed as Battlefront models as there are no tools and details like the hull machine gun are not really visible. As gaming pieces they are excellent and the price is right (~$4 each). The big flat panels are a joy to airbrush. 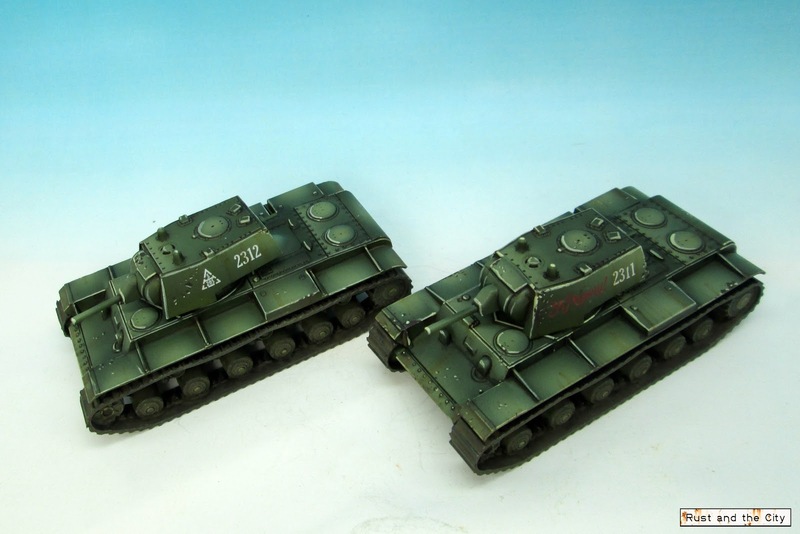 I decided to paint these models as Soviet KV-1s as I had some T-34 decals left over from my winter T-34 platoon and I wanted to try a fairly extreme highlight with colour modulation and panel highlighting. I used Vallejo Model Air Medium Olive for the base colour. I then mixed in Vallejo Model Air Duck Egg Green as the highlight. I added three highlights after the initial basecoat and then edge highlighted using VMA Duck Egg. I then painted the tracks and chipping and things as normal. 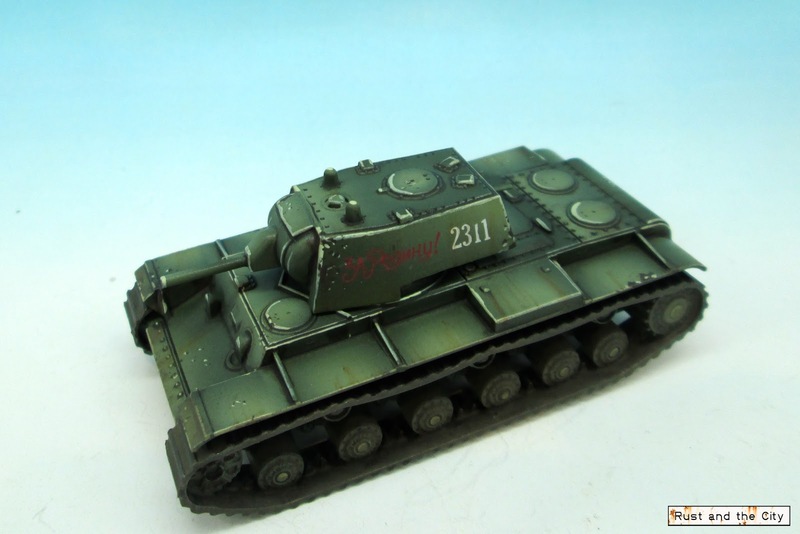 The red decal from the T-34 kit was a bit disappointing. Definitely not as bright as Dom’s Decals. My only change with this model was experimenting with AK-Interactive Track Wash. It is an enamel wash in a dark red-brown colour. I added the wash on the tracks for a rusty look under the dirt. I also added it in the corner of some of the panels for some added interest and to simulate some accumulated rust on the body of the tank. I really like the tone of the wash and I’ll experiment with using it more on future models. 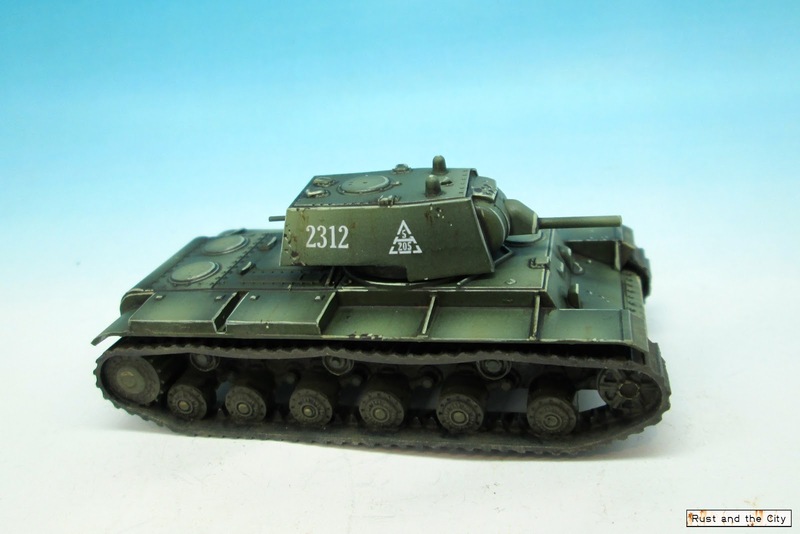 It contrasts very nicely with the green of the tank hull. These models were pretty quick to build and paint. It was fun to paint something new that didn’t need to fit in with the rest of a company now or in the future. I hope you enjoyed seeing these models. Comments and constructive criticism are appreciated as always. 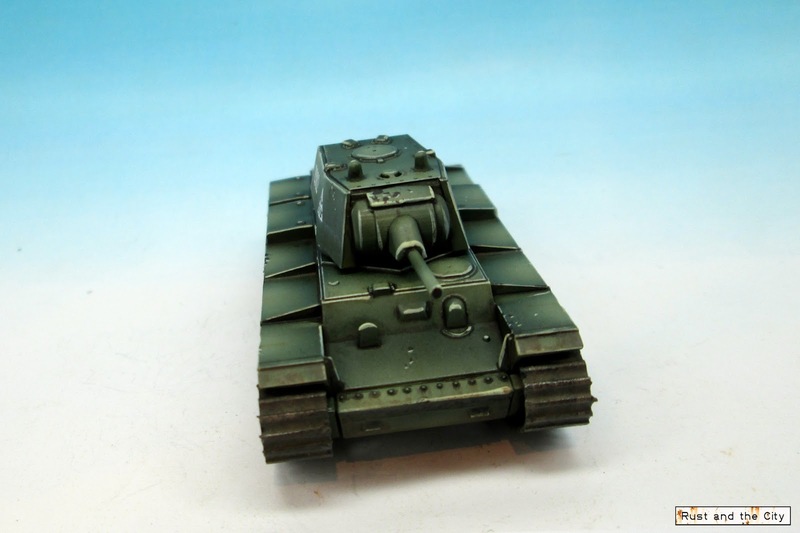 Have you built any other Zvezda models that have gone together well or poorly? I’d love to hear as they are such economical models. Thanks for visiting. Thanks! I'm a big fan of your work. Zvezda are simple kits but the effort you have put into them really makes them stand out . I think the weathering is very effective. Thanks. The clean lines of the kit really works well with how I paint. I'm a big fan of plastic kits. 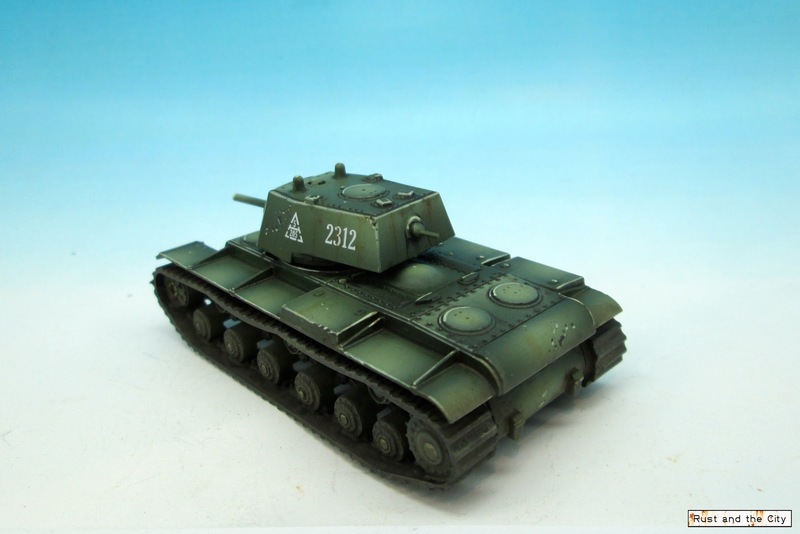 Have been eyeing the Zvezda Dingos myself, though I've yet to try out any of their products. 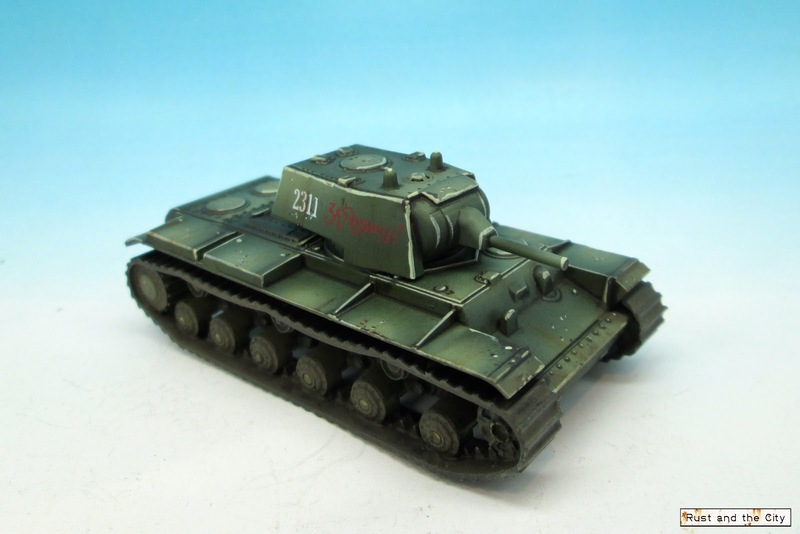 Well, I can vouch for the kv-1s. Might be worth checking out reviews for any others as I have heard some of them are a nightmare to assemble. 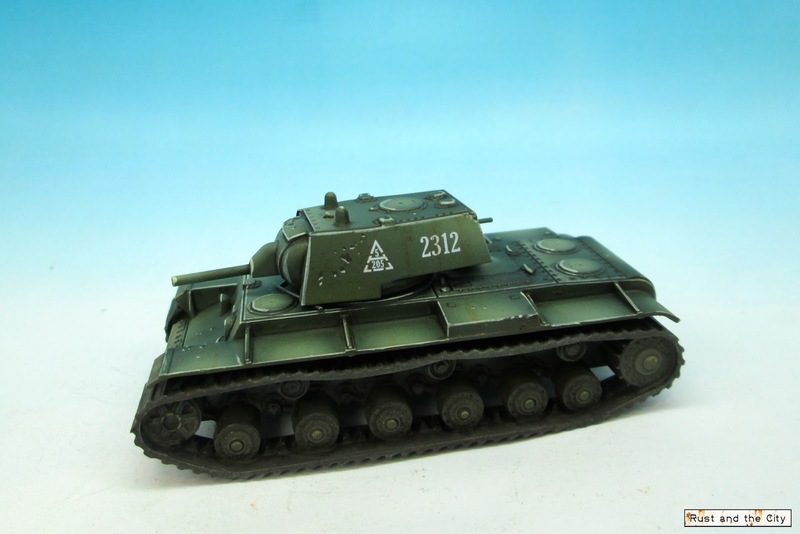 I've got a pz2 and a Matilda so I'll let you know how they are when I do them. The price is right! Hmmm, very interesting. There are streaks and chips and dirty tracks. I guess they don't show up as well on the dark green. What do you think of the colour and highlighting? It is more extreme contrast then I usually do. I'm painting BA 28mmm vehicles for the first time and coming here for inspiration. Let me just say, wow! This could easily be mistaken for 28mm. I don't know how you squeeze that much detail onto a 15mm but you do. Perfect just the way it is. Thanks Monty! It helps that these models are quite plain so there is lots of space for painting on each panel. Good luck with the 28mm tanks. I think 15mm is easier in many ways! Great looking tanks, nicely done!